Not a great photo but certainly a great mystery. 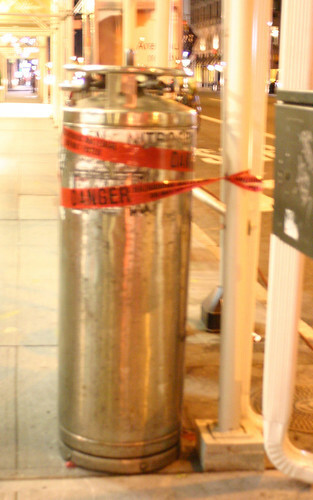 I saw multiple nitrogen tanks hanging out on street corners in Manhattan one evening when I was out walking with friends. Um . . . why?